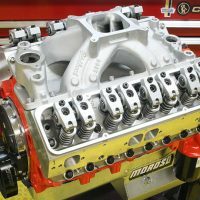 Any self-respecting engine guy knows a thing or two about Offys; most likely they have heard of them and they know that Offys used to be badass racing engines back in the day. 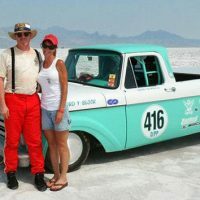 What they don’t know is that “back in the day” started in 1930 and spanned five roaring decades through 1980 and beyond with some of the most competitive racing ever seen. 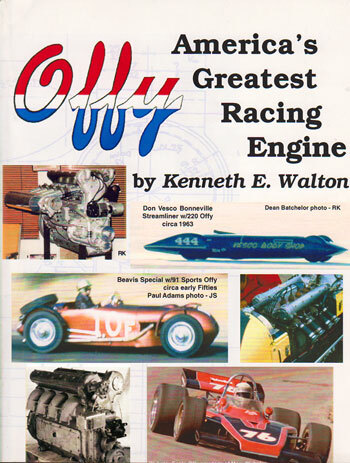 The rest of what they don’t know would fill a book; a lengthy book like Ken Walton’s 512-page discourse Offy, America’s Greatest Racing Engine. 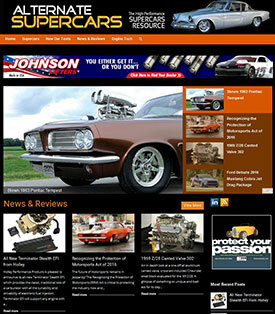 Walton, a self-professed Offy aficionado has compiled the definitive Offy reference work. 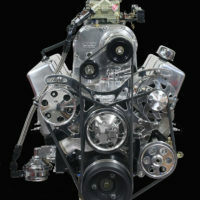 Walton states that the Offy racing engine is a timeless design, conceived and groomed by the most formidable combination of race engine genius of the twentieth century; visionary Harry A. Miller, the engineering and design genius of Leo W. Goossen and master machinist Fred C. Offenhauser. 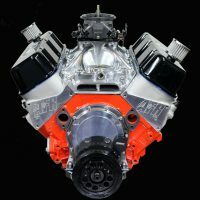 America’s greatest racing engine challenged and dominated American oval-track racing to an unprecedented degree; hence any self-respecting engine guy should know what makes it tick and why it’s so significant. Walton lays it all out, defining the Offy era in clear concise terms. A natural extension of Les Charlatan’s 1913 inline four-cylinder Peugeot Grand Prix engine, the Offys formidable pedigree was groomed and filtered through the early designs of the Miller era, evolving to a pure racing thoroughbred of extraordinary technical significance. 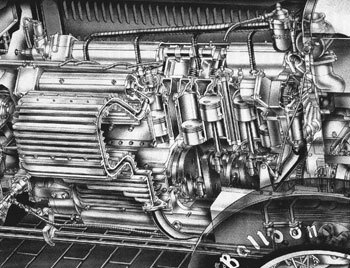 Chapter one surveys the Miller era wherein concepts applied in the Offy were bred and groomed through the 200, 220 and 255 designs of 1930 through 1932. 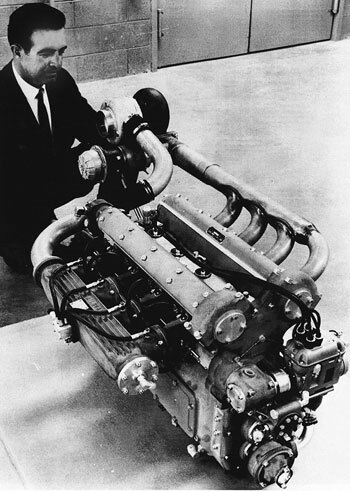 Engines from this series and thereafter all became known as Offys. 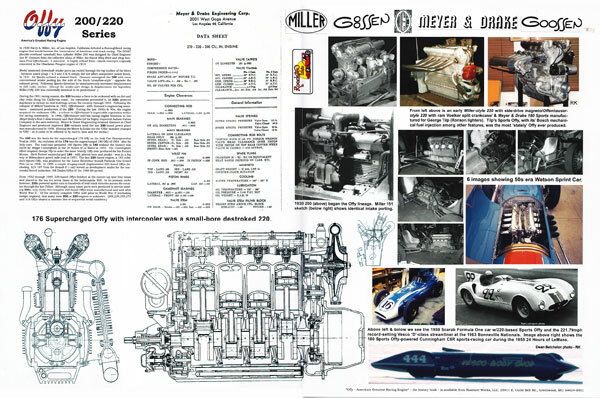 In chapter two Walton examines the growth of the Offy legend through the 270 and 318 and the Meyer-Drake supercharged 176 and 180 Offys. 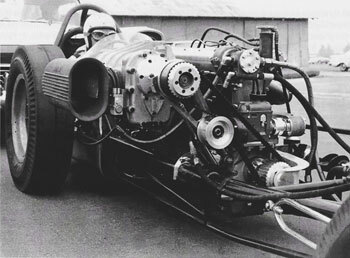 Chapter three describes the performance challenges of the sixties and the development of subsequent Offy varieties including the Drake Offy turbo engines. 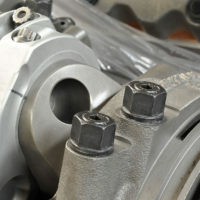 Subsequent chapters detail the birth of highly refined Offys and the powerful midget engines plus later forced induction versions for both Indy and midget racing. 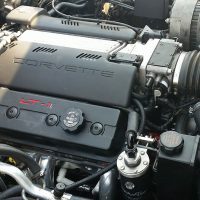 Offys in a sports car and road racing and various street applications are also discussed in complete detail. 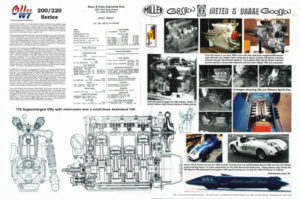 Throughout these sections hundreds of detailed photos, charts, graphs, cutaways and line drawings illustrate every feature of the various Offy engines while the text contributes a thorough and detailed analysis of the inner workings of Offy engines. 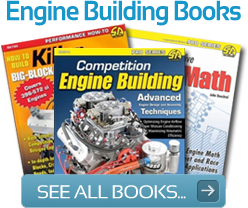 Engine enthusiasts who enjoy studying how and why any particular engine is designed and operated will love the detailed explanations provided by Walton. The depth of detail provided seems almost overwhelming at first, but you’ll soon enjoy an exceptional knowledge and understanding of the legendary Offy mystique. 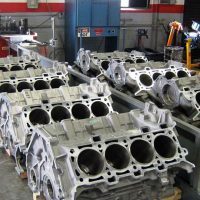 Studying the photos is a particularly satisfying treat and readers will enjoy the comparison dyno tests and engineering evaluations. Walton’s knowledge of the Offy is formidable and his book is clearly the definitive work on the subject. It is also a gift that keeps on giving as readers return to it time and again to assimilate tiny kernels of knowledge. 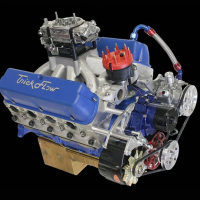 It is not a book that you will read and put away, but one that serves as an essential desk reference for even the most modern performance engine builder. Collectors may want to purchase two copies; one for their bookcase and another to preserve all the greasy fingerprints that typically characterize the pages of a valued and well-used shop manual. 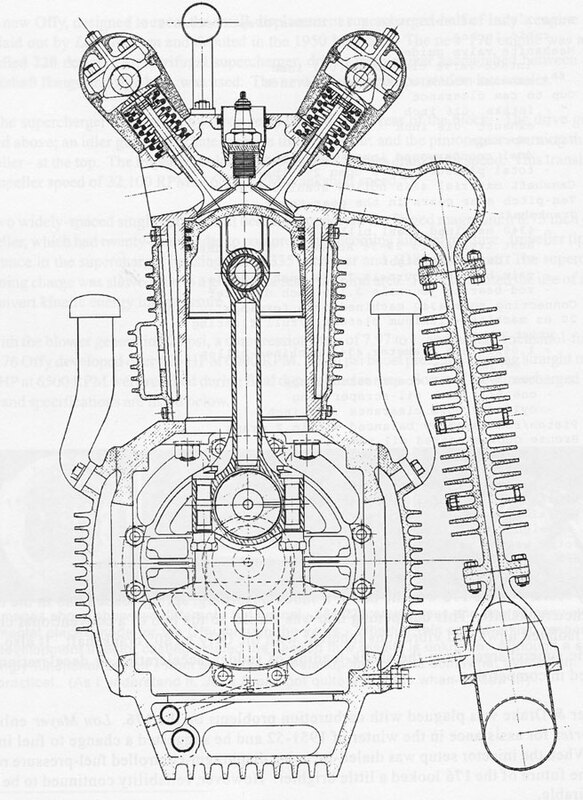 Indeed, if the designers had ever contemplated a service manual, Walton’s book would easily fill the bill. Well done Kenneth. A collectors’ edition limited to 25 copies, bound in leather with custom embossed gold-script lettering on a dark hardcover & spine with a full-color dust cover is also available. 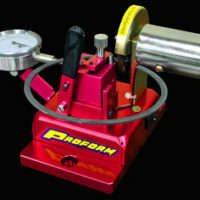 The cost is $200.00 ea + 7.50 s&h. 25911 E. Outer Belt Rd.